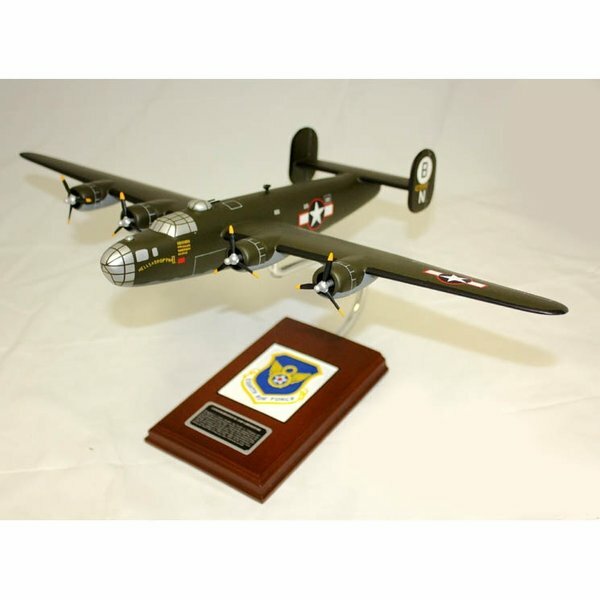 Model Description The B-25 Mitchell was an American twin-engined medium bomber manufactured by North American Aviation. The B-25 first gained fame as the bomber used in the 18 April 1942 Doolittle Raid, in which 16 B-25Bs led by Lieutenant Colonel Jimmy Doolittle attacked mainland Japan, four months after the bombing of Pearl Harbor. The mission gave a much-needed lift in spirits to the Americans, and alarmed the Japanese who had believed their home islands were inviolable by enemy forces. It was used by many Allied air forces, in every theater of World War II, as well as many other air forces after the war ended, and saw service across four decades. This specific model is painted as "Special Delivery", a B-25 used during WWII.